1. How Does the $1000 Club Work? 2. May I pay my Martin Oil Company invoice online? Currently customers can not pay their invoice online. 3. Can I apply for the Budget Program at any time of the year? Yes! You many join our Budget Program at any time of the year. 4. What is the “Team Up Card”? You may pick up a Team Up Card at any store or oil office. 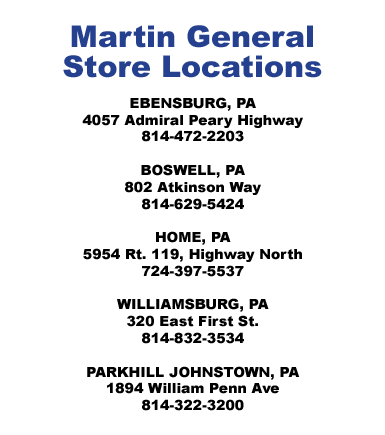 Each time you buy at least 10 gallons of gas at any Martin Gold Star location keep the receipt. Present 5 receipts and completed card to any Martin Oil office and you will receive 5¢ off per gallon on one delivery up to 1,000 gallons. 5. How do I set up a Martin Gold Star Account? Businesses or Personal Accounts can be set up by first completing a Martin Gold Star Fuel Control System Credit application, returning the completed application to the indicated address, and after credit approval may move forward with account set up. Credit Applications may be printed out from this website under the Gold Star Credit Cards tab. You can not complete the application on this website. It is for print out only. 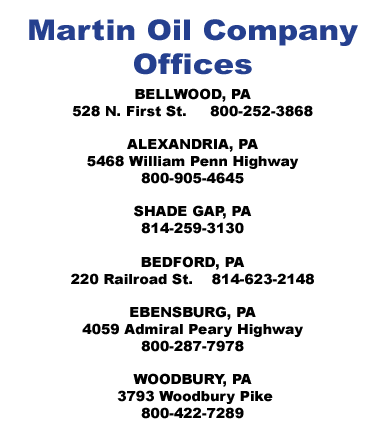 Credit Applications may also be picked up at any Martin General Store or Oil Company Office. 6. What is your senior citizen discount? Any customer 62 years of age or older can receive a 2¢ off per gallon discount of home heating oil. 7. What is your volume discount? A volume discount on home heating oil is available after a delivery of 200 or more gallons. The discount increases incrementally depending on the total gallon delivery over 200 gallons. 8. Do I need to give my email address and phone number when registering my Martin Gold Star Rewards Card? Though not mandatory, it is important to give your email address and phone number when registering your Martin Gold Star Rewards Card. Your email address will allow us to notify you of special offers and savings we may have for you. 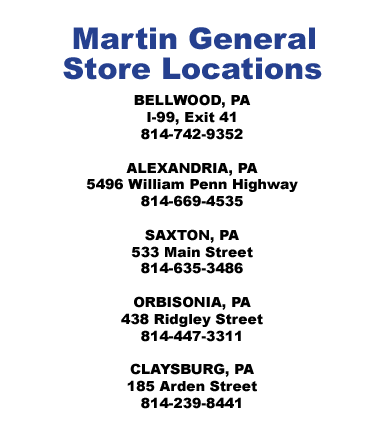 Your phone number is important because if at any time you do not have your Martin Gold Star Rewards Card we may access your account for you by your phone number if it is entered into our system.